College Park designs and manufactures a full line of anatomically correct, custom built prosthetic solutions. College Park is ISO 13485 certified with an extensive focus on quality testing, and proudly sources and produces all products entirely in the USA. 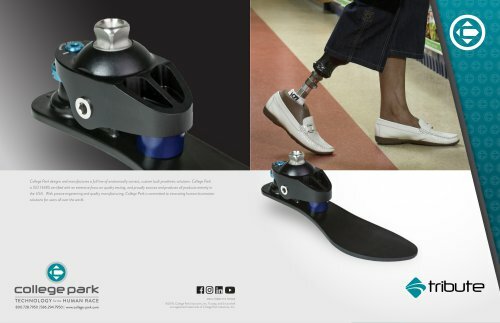 With precise engineering and quality manufacturing, College Park is committed to innovating human locomotion solutions for users all over the world. ©2018, College Park Industries, Inc. Trustep, and Enviroshell are registered trademarks of College Park Industries, Inc.